Who doesn't love building things? Blocks can be boring and heavy and make far too good of projectiles in the hands of an angry engineer to be. 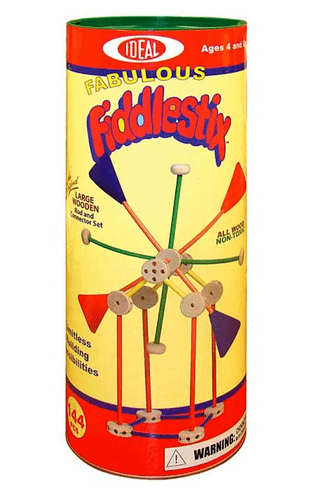 Enter Fiddlestixs! These toys stimulate growing minds and hands without the danger of block induced comas. This set is 144 pieces. Ages 4+.